Oil prices tumbled Wednesday as stockpile data defied seasonal norms and figures revealed record volumes of Saudi Arabian output. Equities were under pressure as energy firms’ stocks fell with the main TSX index closing lower despite gains for the materials group, helped by gold producers as prices rose. 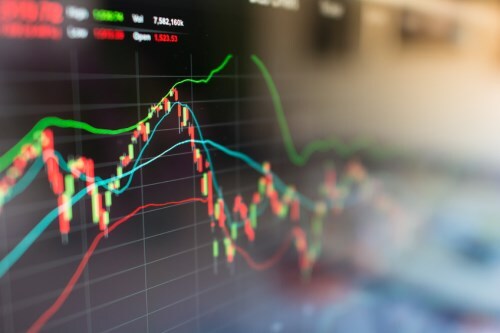 Wall Street also closed lower while other regions saw some positive indexes; Hong Kong and Korea were the leaders in Asia while London was the main gainer in Europe. The three major Detroit auto manufacturers begin talks with the union representing their Canadian workforce this week. GM, Ford and Fiat Chrysler will meet with unions during the month-long negotiations aimed at securing work at the Canadian plants amid competition from the US and Mexico. The Automotive Policy Centre says that 53,000 Canadian auto sector jobs have been lost in the past 15 years and the union Unifor says the talks are "the most important auto contract talks in a generation." Bombardier secured a $1.7 billion deal to supply trains for the British railway network Wednesday, providing a future for the firm’s train manufacturing plant in the UK. The order for 660 cars, which will be built at the Derby factory, was part of a massive investment in the country’s rail infrastructure. Although a Swiss supplier will also benefit from the order, Bombardier’s share of the investment is two-thirds of the total.